According to Dogon legend, the Nommo visited the earth from a celestial body in the Sirius system. The Nommo gave the Dogon knowledge of an invisible star in this system called Digitaria, which would be both the smallest and the heaviest celestial body in the universe. It was called the “Egg of the Cosmos” (Aduno Tal). Digitaria moves in an elliptical orbit around Sirius and completes an orbit twice a century. This was celebrated with the Sigui ceremony described above. As Sirius B cannot possibly be observed with the naked eye, the question that fascinated many scientists after Griaule’s publications is how the Dogon could have known about Sirius B without the tools of modern astronomy. In Robert K. Temple’s book “The Sirius Mystery” (1976), which made Griaule’s work known to a larger public, the author takes this one step further. His central question is whether the earth has been visited by intelligent beings from the area of Sirius in the distant past. 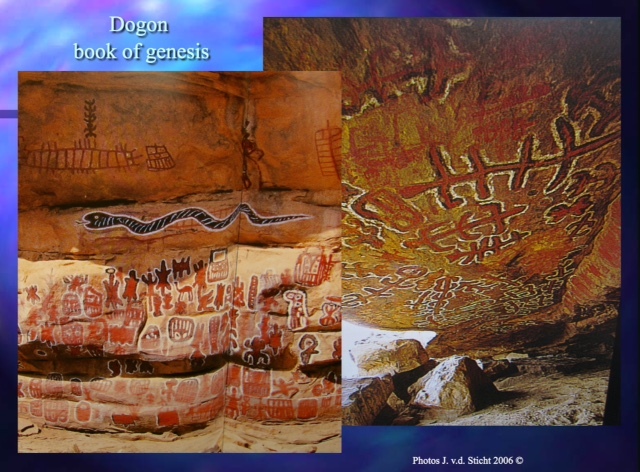 Since several aspects of the Dogon legend are scientifically verifiable, it is possible to review the myth in the context of current astronomic observations.